Search Results for "command module"
1960s: Wall of controls, dials and switches inside space command module. Teams at the Manned Spacecraft Center, Massachusetts Institute of Technology and the John F. Kennedy Space Center discuss a problem with the Command Module as it orbits the Moon, in 1972. 1970s: People around America watch and listen to the reentry of Apollo 13 astronauts. 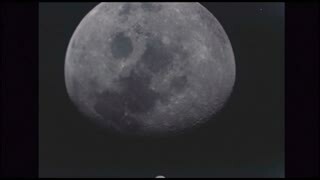 Spacecraft splashes into ocean. 1970s: Men at command center sit at consoles, watch monitors, write, talk to astronauts, clap. Spacecraft parachutes down. People in the street watch tv, smile. 1960s: Gemini command module floats in Earth's orbit. American flag on metal side of Gemini space craft. 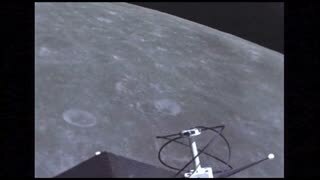 1960s: View of parachute from Gemini space craft window. 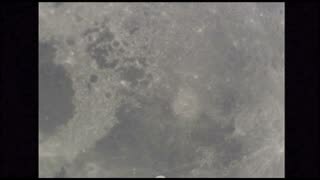 Command module descends toward ocean with parachute. Men on helicopter look out of window. 1960s: View of Earth from Gemini space craft window. 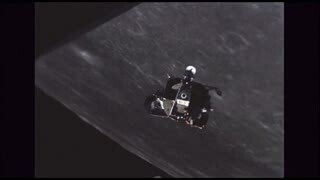 Command module spins and turns in reentry. Astronaut sits in command module. 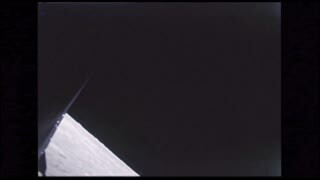 Gemini spins in Earth reentry. 1960s: Gemini command module floats in Earth's orbit. 1960s: Gemini space craft floats above clouds and terrain in Earth's orbit. 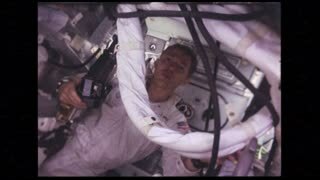 Astronaut adjusts camera in cockpit of command module. 1960s: Gemini 8 command module tumbles in Earth's orbit. 1960s: Command module descends toward ocean with parachute. Command module splashes down in ocean. Navy seals jump into ocean from helicopter hanging over ocean. 1960s: Rocket ship lifts into sky. 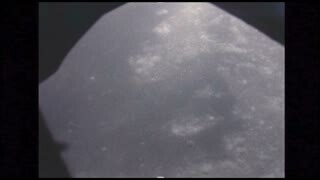 Command module fires and separates from rocket into orbit. 1960s: Gemini command module docks with space craft. 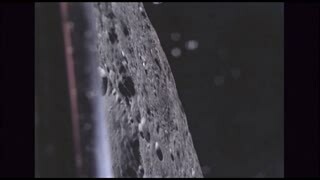 Space craft fires rockets in Earth orbit. 1960s: Gemini 9 command module with broken shroud hangs in orbit. Rocket with broken shroud hangs in space. 1960s: Astronaut operates controls in cockpit of space craft. Gemini space craft hangs in space. Astronaut conducts experiment. 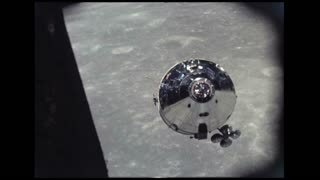 Space command module hangs in Earth's orbit. 1960s: Astronaut adjusts camera in cockpit of command module. Gemini space craft floats above clouds and terrain in Earth's orbit. 1960s: Space command module hangs in Earth's orbit. 1960s: Commander's seat on interior of command module. Lever and joystick controls on arm rest of commander's seat. 1960s: Folding seat in interior of command module. Bed lies beneath crew couch in interior of command module. 1960s: Wall of controls, dials and switches inside space command module. Altimeter gauge. Reentry monitor on control panel. Master alarm and directional instruments on control panel. 1960s: Two rocket thrusters on side of command module. Large rocket thruster on side of command module. Two rocket thrusters on side of command module. 1960s: Three crew couches inside of space command module. 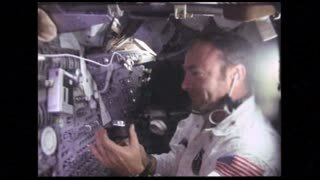 1960s: Access hatch above wall of controls and switches in command module. Space command module hangs suspended from crane. 1960s: Onboard flight computer of command module. Navigational controls and scopes on instrument panel. 1960s: Space command module. Space command module hangs suspended from crane. 1960s: Window on side of command module. Access hatch on side of command module. Three crew couches inside of space command module.